Data meets the educational needs of students. Parents in Philadelphia are sometimes unaware of the best educational opportunities for their children. 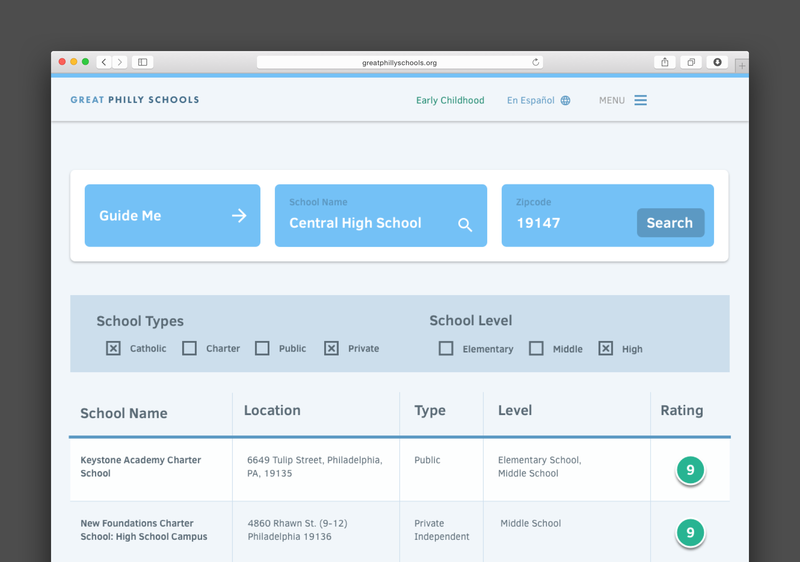 Great Philly Schools facilitates parents finding the best schools through comparison and research. Encourage parents to consider multiple schools, highlighting the best fit for their child. 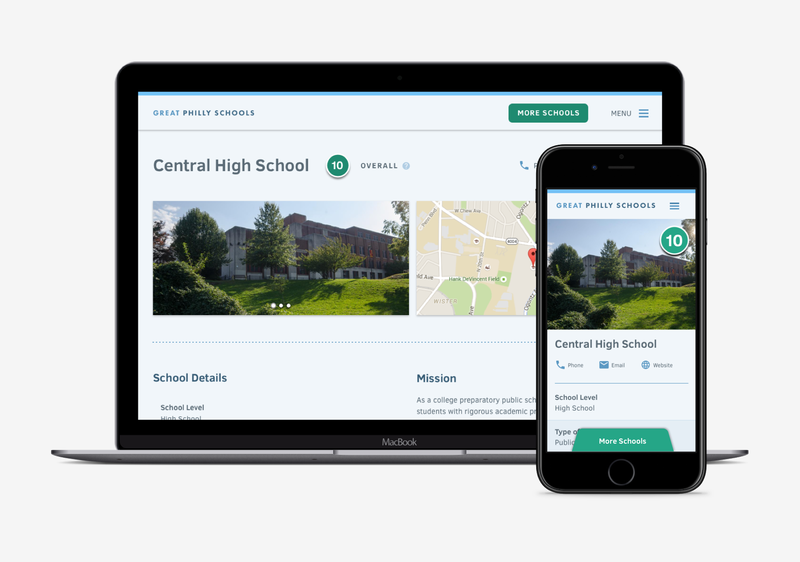 Each individual school profile was embedded with additional information to help make the choice for parents simpler. 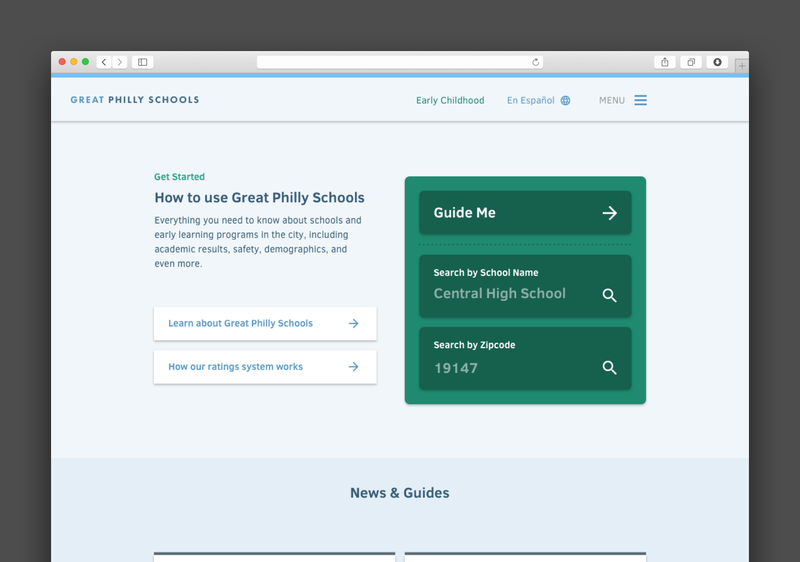 A user flow for searching that helps parents create their own criteria for a great school. The search flow responds to parents individual needs which, our research showed, could vary greatly.